This season, the team has gone through a massive transformation, retaining just all-rounder Deepak. The team is a perfect amalgamation of young talents like Sandeep Narwal (all-rounder), Deepak (all-rounder), and Girish Ernak (defender) and seasoned players like Dharmaraj Cheralathan (defender) and Rajesh Mondal (Raider). All eyes will be on international player from Bangladesh Ziaur Rahman (Defender). 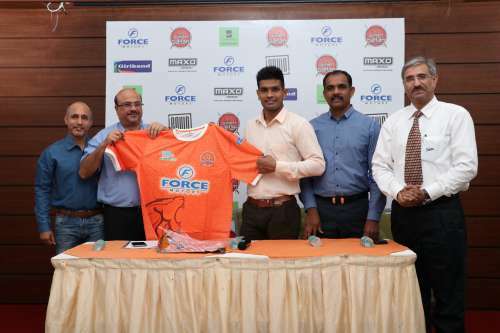 The season will kick off from July 28 as the Puneri Paltan will take on U Mumba in Hyderabad. The addition of four new teams – Gujarat, Haryana, Tamil Nadu and Uttar Pradesh might raise the concerns of the league being lengthy. However, Kailash Kandpal, CEO of Puneri Paltan promises that this will surely build up the internal rivalry between the teams further offering nail-biting matches to the fans. After managing Bengal Warriors in the second season, Ramesh went off the radar as he couldn’t manage his leaves while working at the State Bank of Mysore. He will take the centre stage after two years and accepts the challenge with open arms. “I am excited to see the team perform. During the second season, I had taken a plenty of leaves for the tournament. The subsequent years, I was unable to manage the leaves. However, this year, I had to take up this task, as I have this urge to be related with Kabaddi in some or the other way,” smiled the Arjuna Awardee. Injury is always a great concern when it comes to mat field. Hence the team is concentrating on fitness and providing the best rehab for injured players. “There are two-three players who are injured right now. Some are undergoing rehab in Mumbai. Rohit Chaudhary (Raider) has a shoulder injury but he will recover well before the match. Apart from that, Ajay (All-rounder) has an ankle injury. But no major injures so far as players are given enough time to rest and recover,” informed Ramesh. The 2002 Asian Games Medallist, Ramesh was all praises for the foreign player Ziaur. “He is one of the most talented seasoned player. Ziaur has immense strength and power which makes him a strong player. However, I feel he lacks a bit of experience and timing. If groomed well, he will certainly reach the sky. Nonetheless, it is a pleasure to have him in the team,” quipped the coach. He has earned the well-deserved title ‘Mr Dependable’ courtesy his talent to perform whenever the team is in need. Deepak is young and has the will to change the scenario of this sport. No wonder he was retained and announced the captain of the team. But things have now changed for him. “Earlier I was an aggressive player and used to play for myself. However now, I have to look after the whole team. It’s definitely challenging but I am up for it. I have become more responsible as the team depends on me,” said Deepak. The team is all geared up for their first match against U Mumba. To keep the team’s moral high, the captain is treating Mumbai as any other team. “We haven’t yet come up with a specific strategy for Mumbai. For us, all the teams are same. There is still time to face Mumbai, we will see what happens,” informed Deepak. The 23-year-old is quite happy with the way the team has shaped during practice. “We have bonded great as a team. We are putting in a lot of effort to train and build our team. Our head coach is very insightful and guides us at each and every step. With this new team and continuous guidance from our head coach and mentor, we are pretty confident that we will give our best this season,” he added.